The Stages Carbon Campagnolo Record Power Meter is now available and comes ride ready – with Campagnolo’s Ultra-Torque CULT ceramic non-drive bottom bracket bearing. The power meter features +/- 1.5% accuracy and 200 hours of battery life. Stages power meters run off the popular CR2032 battery and feature tool free battery replacement. 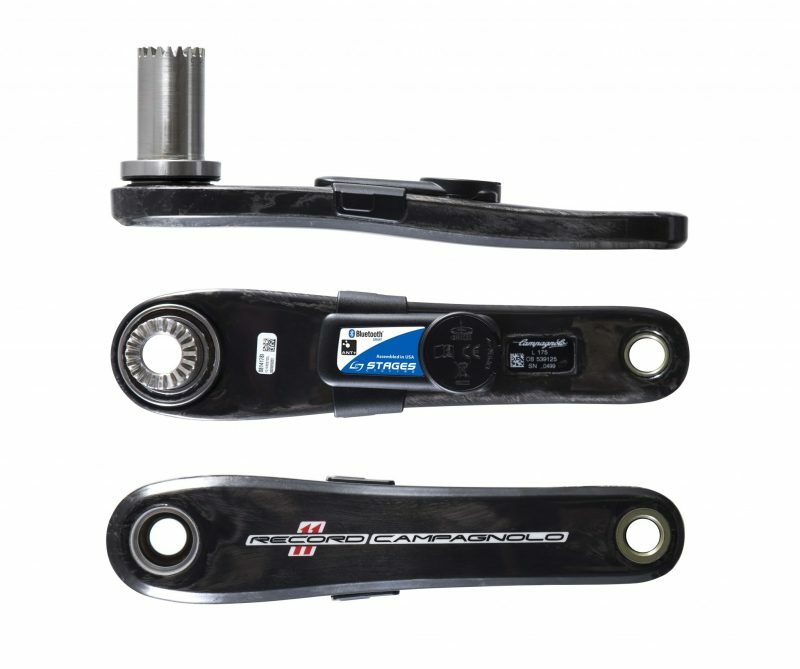 In addition, it is extremely lightweight – adding only 20 grams to the weight of the crank arm. The power meter is compatible with both ANT+ and Bluetooth SMART devices, which means you can use your favorite bicycle computer as well as a smartphone or tablet. The new Stages Generation 3 power meter features radio antennas that are 6x more powerful than the previous version. This means better compatibility with both bike computers and watches. The new versions also feature improved accuracy and have an LED indicator light on the housing for improved ease of use. The Stages Carbon Campagnolo Record Power Meter is compatible with all existing Record model cranks.